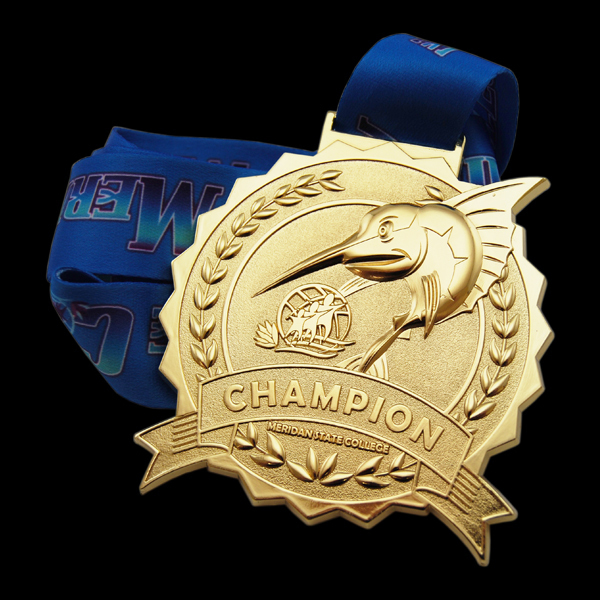 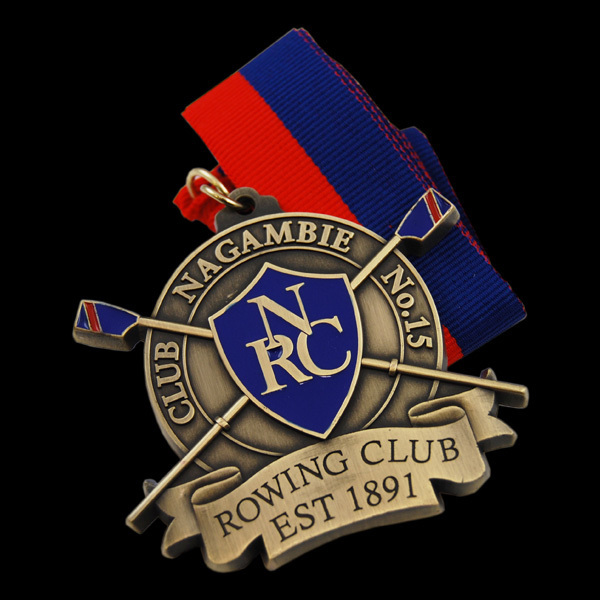 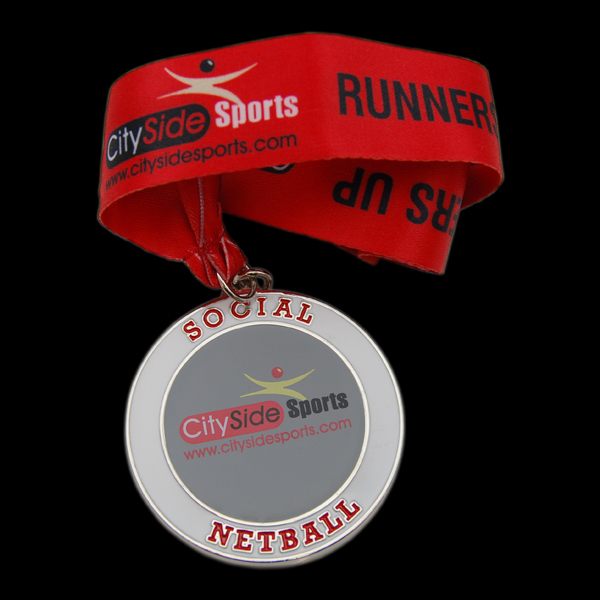 If medallions, medals or tokens are what you require, then we can certainly help you. 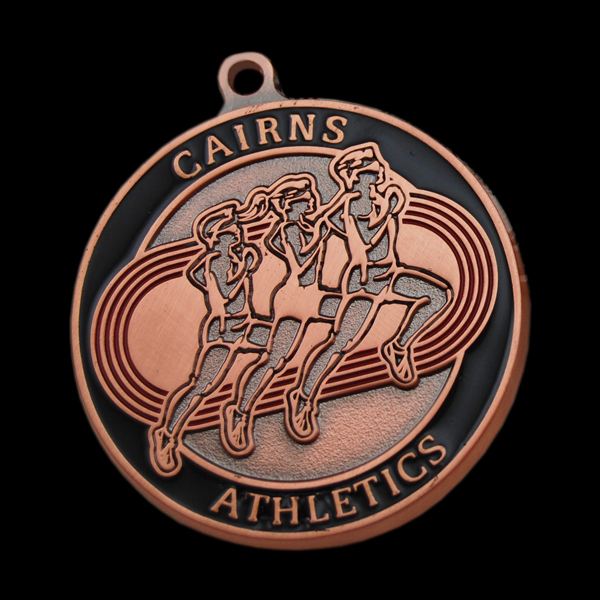 Cash’s have a wide range of custom made medallions to suit your needs. 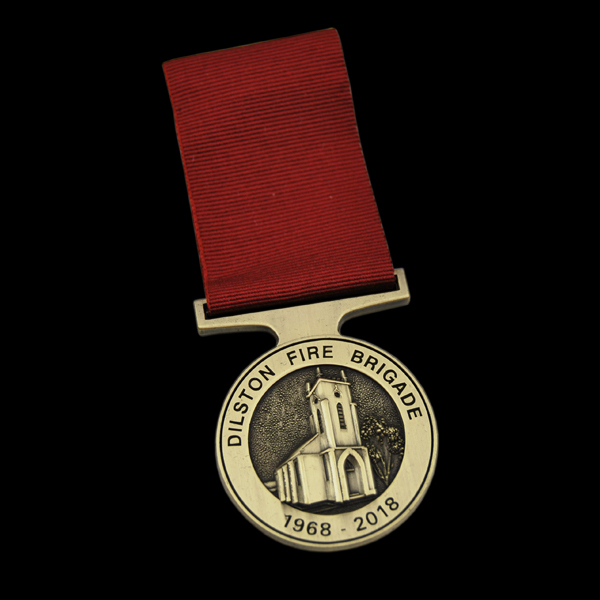 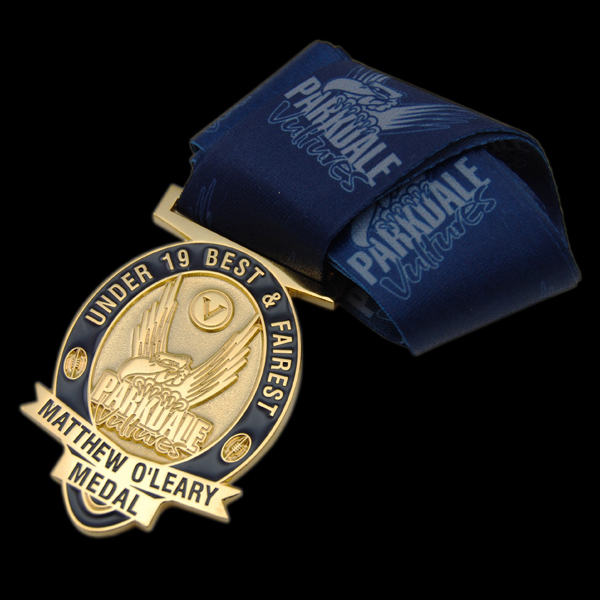 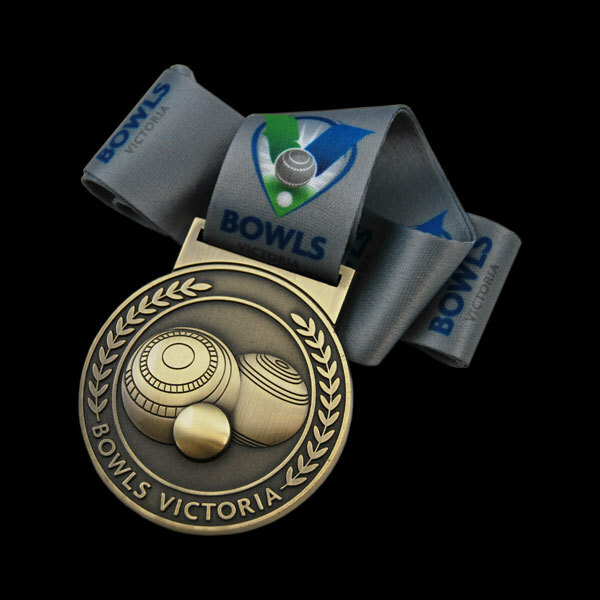 Choose from our range of pre-existing sizes for stamped medallions as well as an unlimited range for cast medallions, promotional medals and tokens that will suit all budgets. 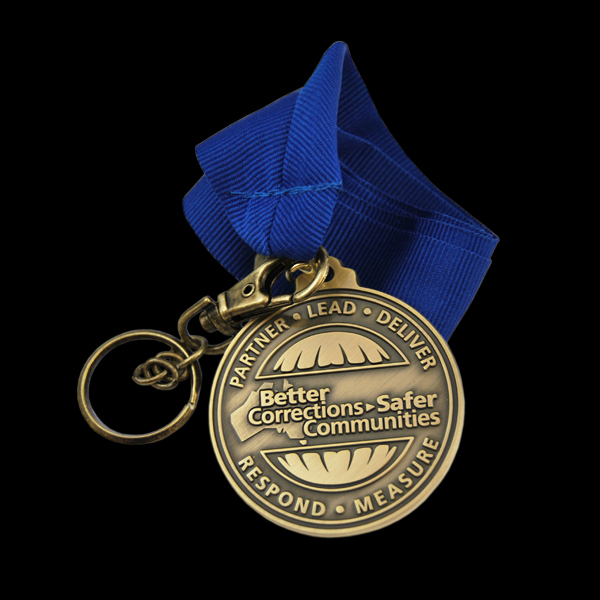 We can do this because we have the distinct unique advantage of a local 90 year established facility as well as strong offshore manufacturing partners producing the highest quality products. 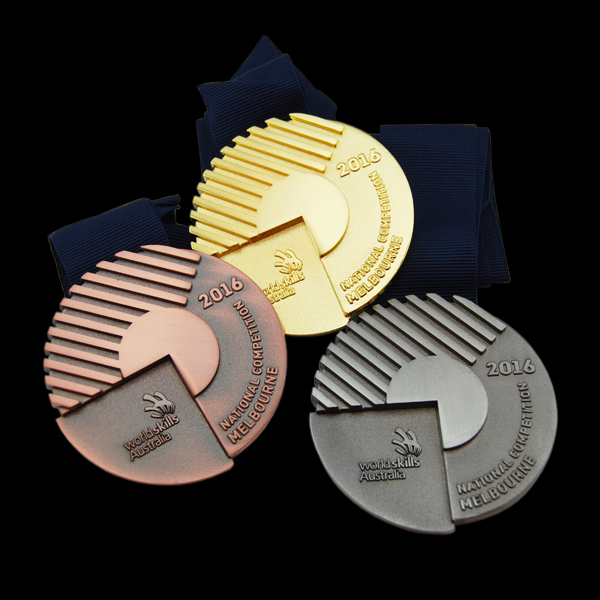 So just select what’s best for you. 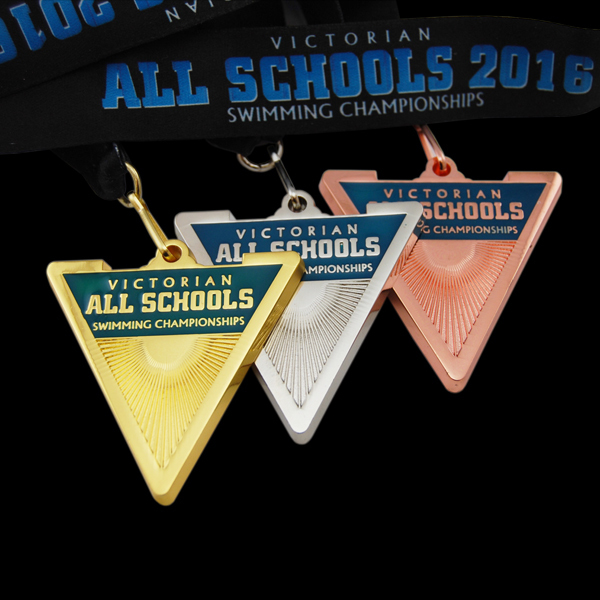 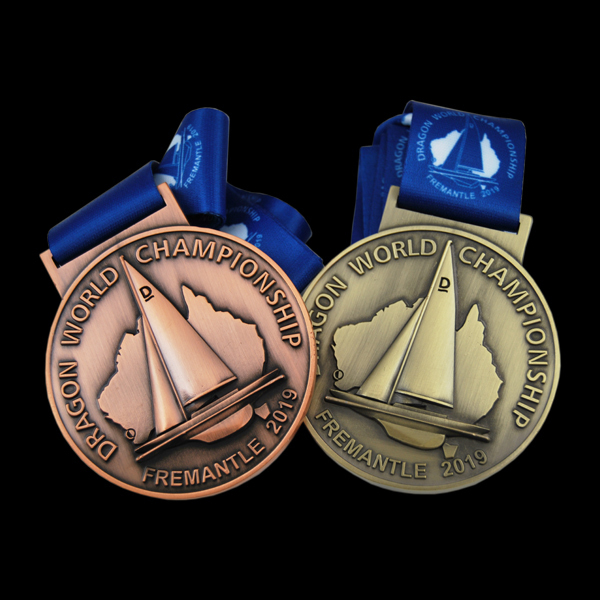 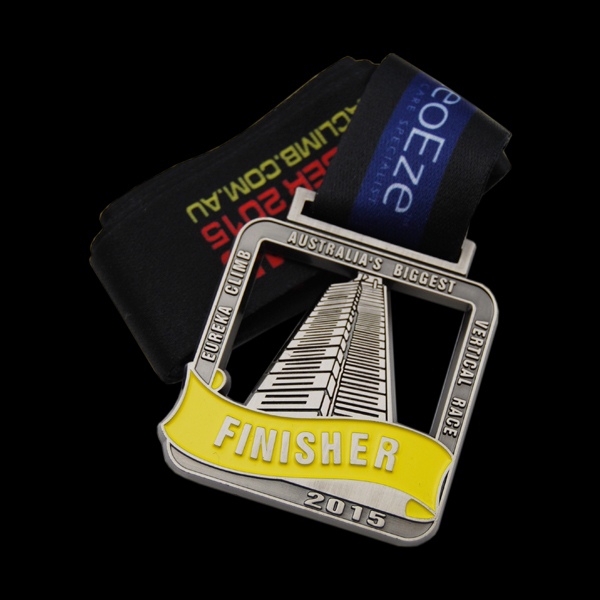 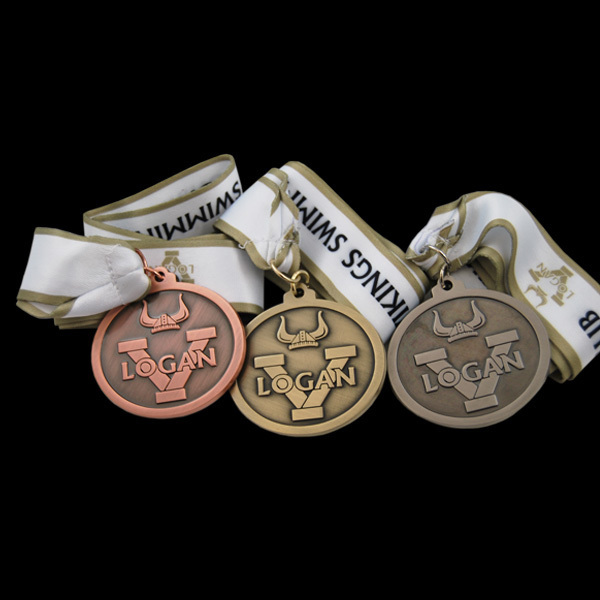 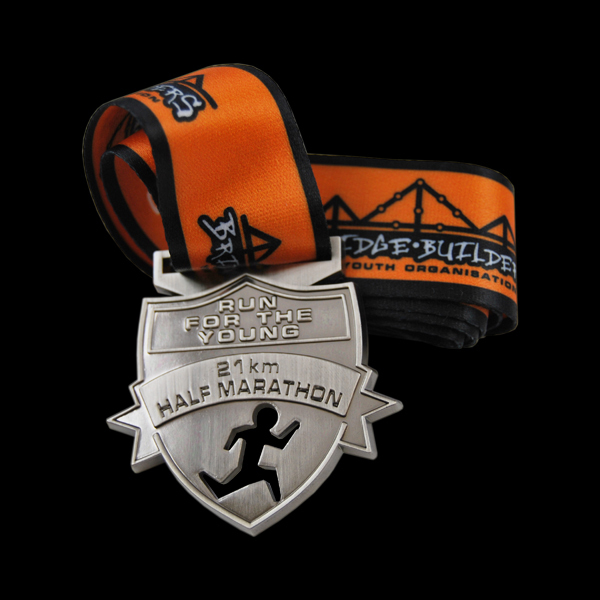 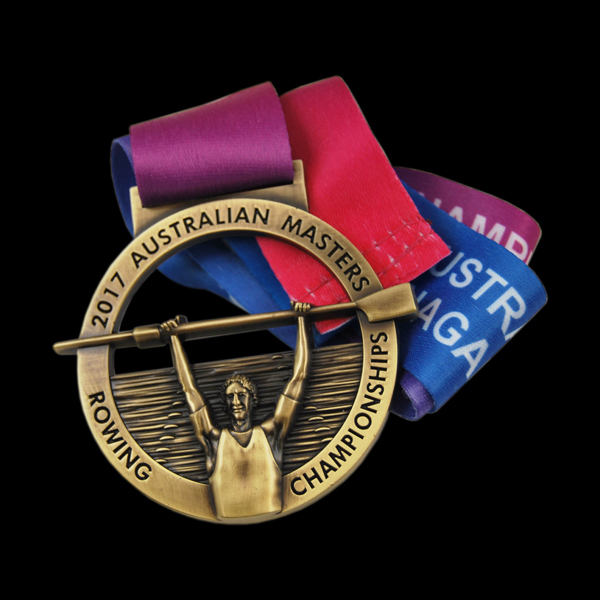 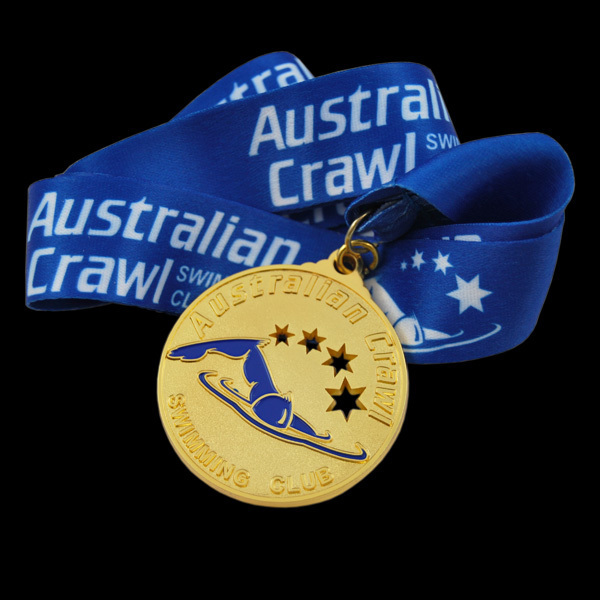 Our medals are uniquely designed to fit the look and feel that you would expect best represents your event. 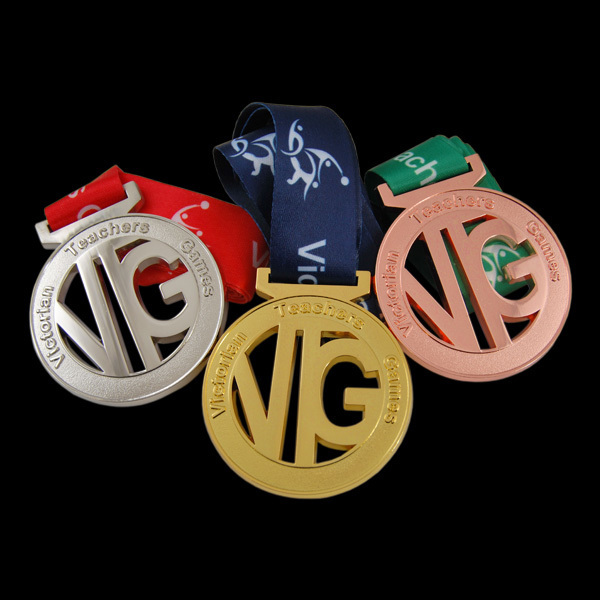 Our sales and design team are able to help you with designs and suggestions so we can make and deliver the best finished result. 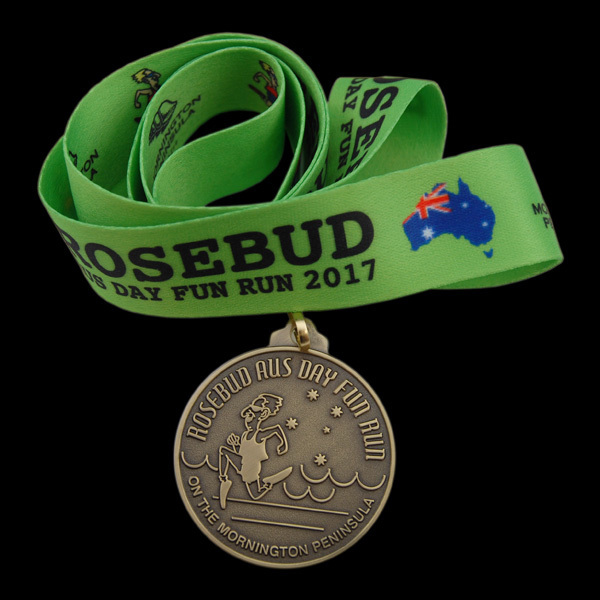 With over 90 years experience you can be guaranteed that Cash’s has been involved with some of the biggest and / or most complex events so why not draw from our experience and expertise. 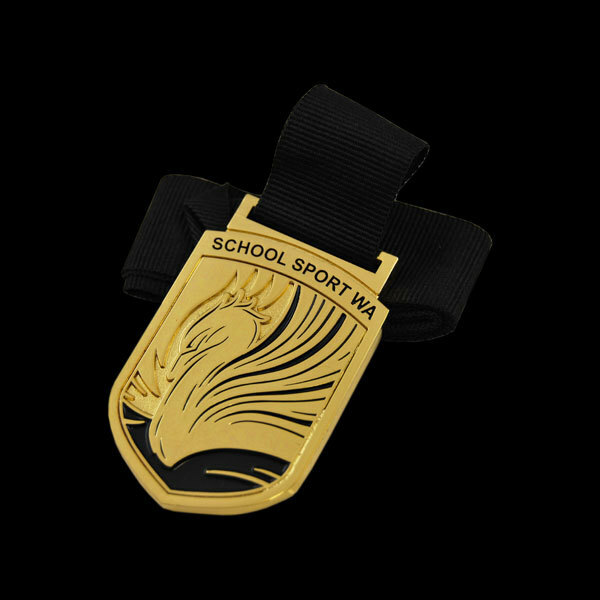 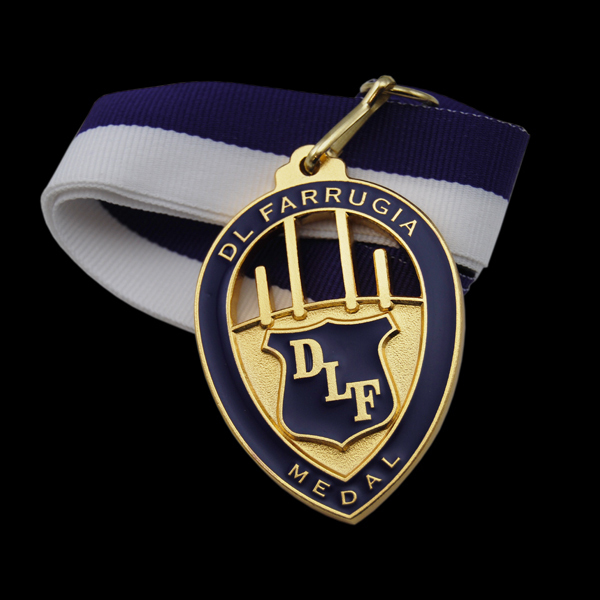 There are also a large range of ribbons and presentation cases that will finish off your medals perfectly. 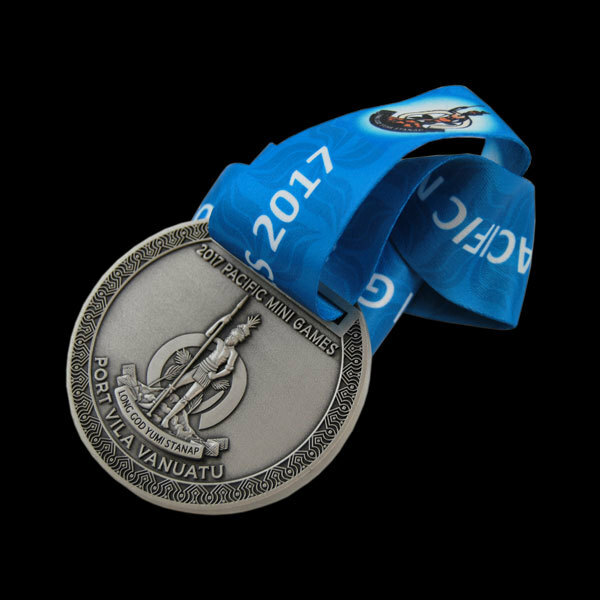 Stamped medals predominately involve the “stamping” of a base material such as copper, brass or nickel silver and also precious metals such as gold and sterling silver. 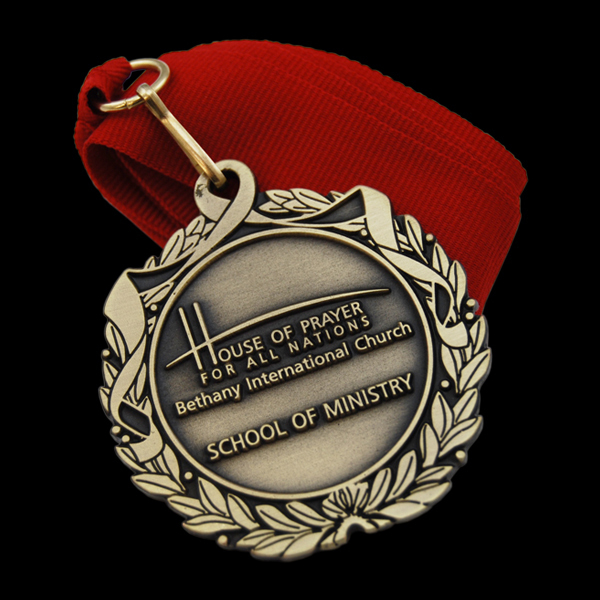 As these materials are a hard base metal, your stamped medallion, medal or token will last for many lifetimes. 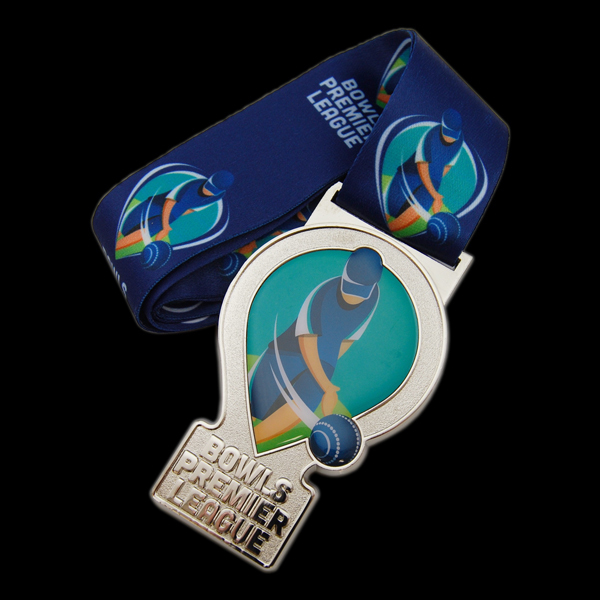 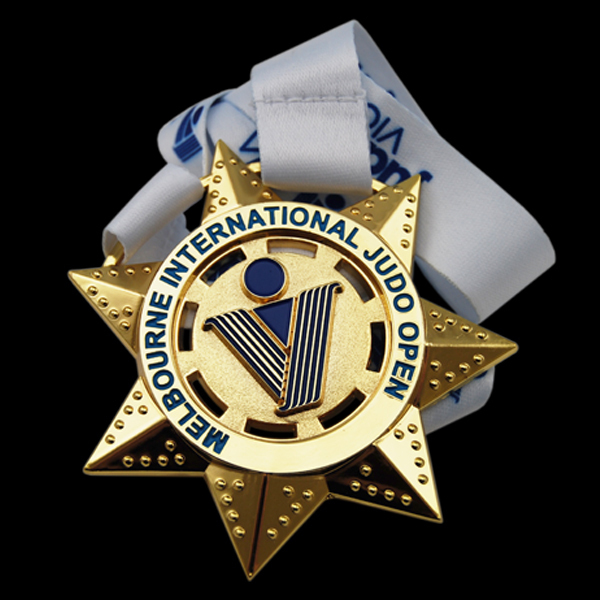 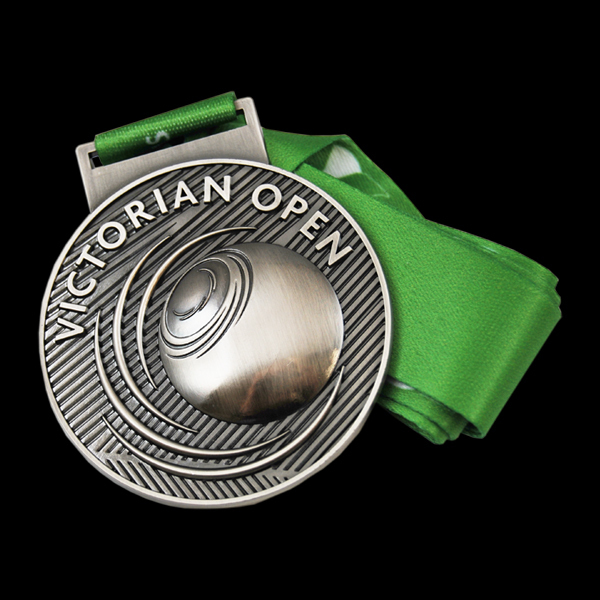 Your medals can be a 2 dimensional or 3 dimensional design. 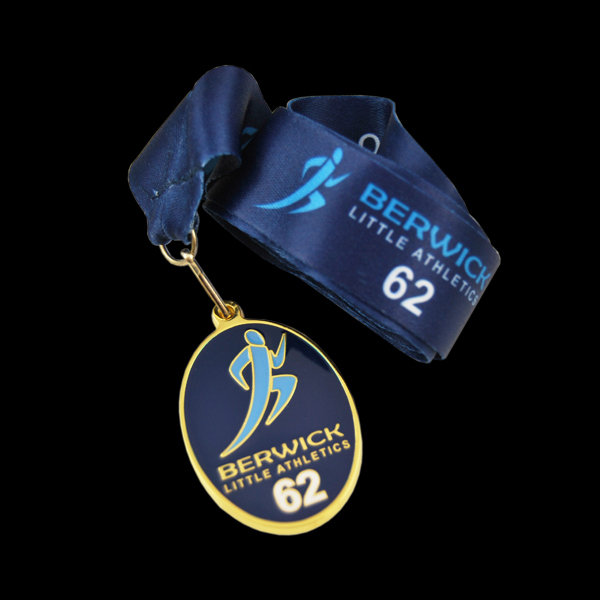 We have a large range of pre-existing sizes for you to choose from. 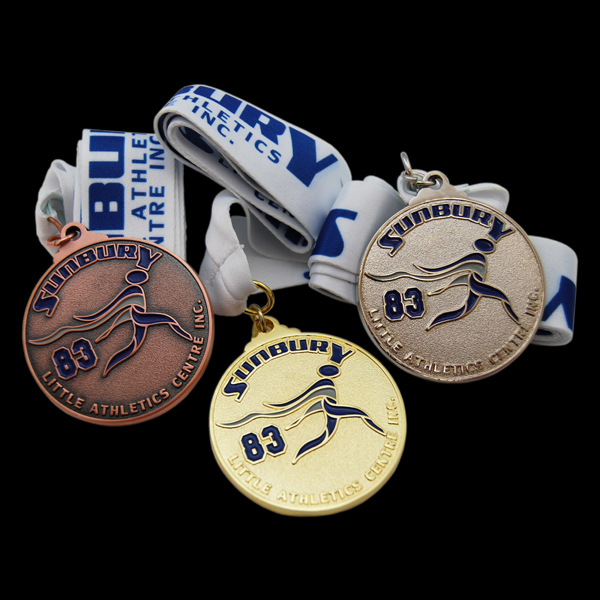 The standard medallion sizes are: 32mm, 38mm, 47mm, 51mm, 54mm, 57mm, 64mm & 70mm. 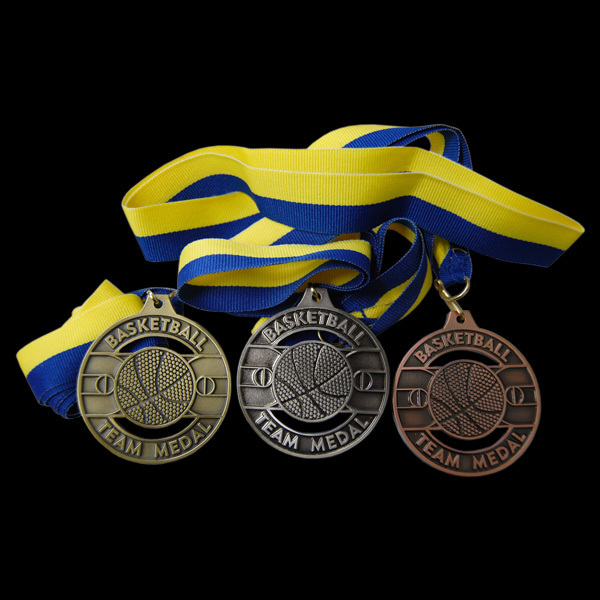 These are all available with or without rings on top to allow us to attach ribbon if required. 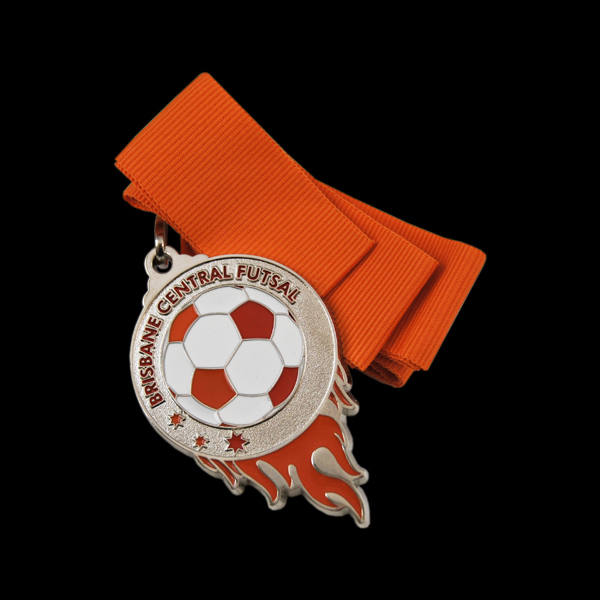 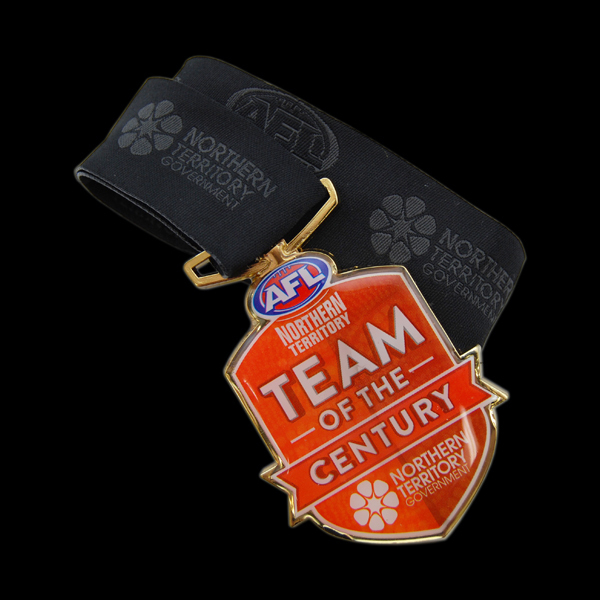 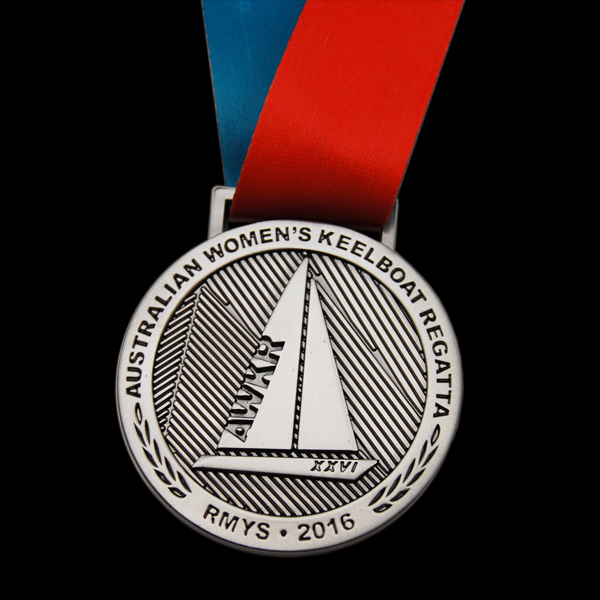 If you have a special requirement we can customize your medallion, medal or token to suit whatever size you require. 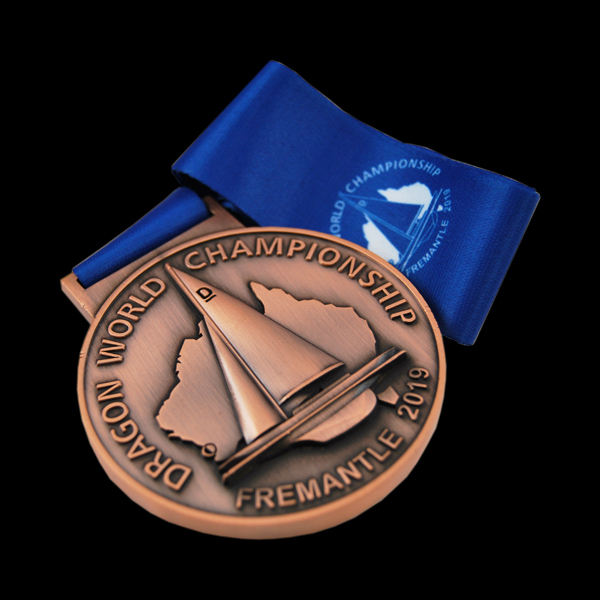 The delivery time on a locally manufactured stamped medallions, medals or tokens is generally 3 – 4 weeks. 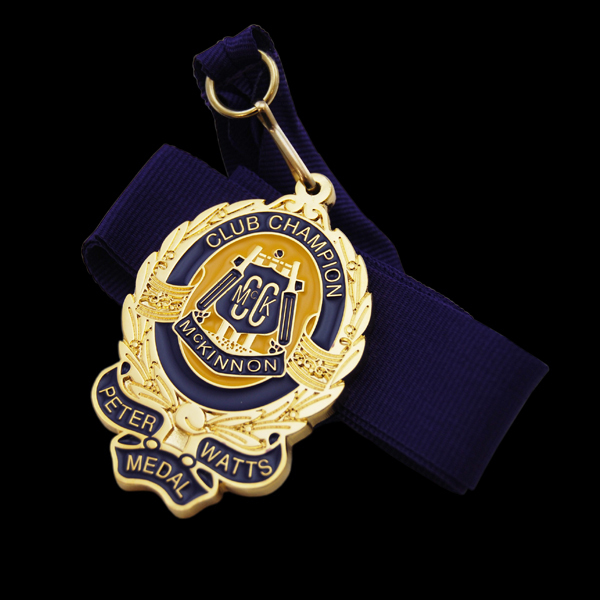 Please check with one of our customer service team before ordering if you are unsure of which medallion will best suit your needs. 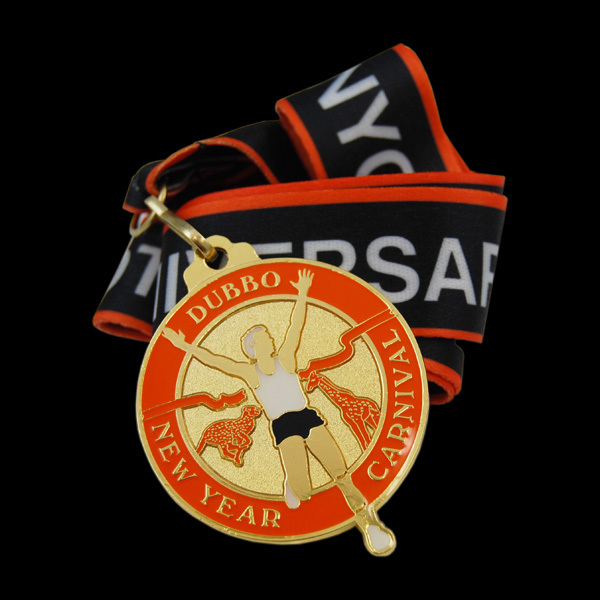 Cast medallions, medals or tokens have the most flexibility for shape and design. 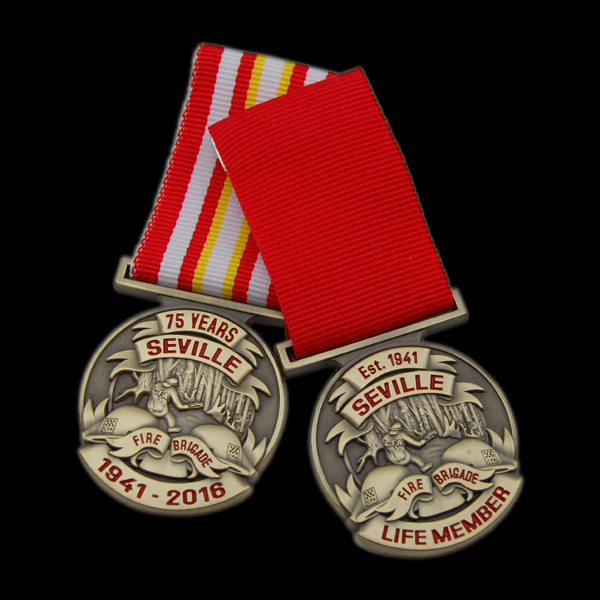 They are also the simplest and most cost effective medallion, medal or token to manufacture and as such are the most popular type purchased. 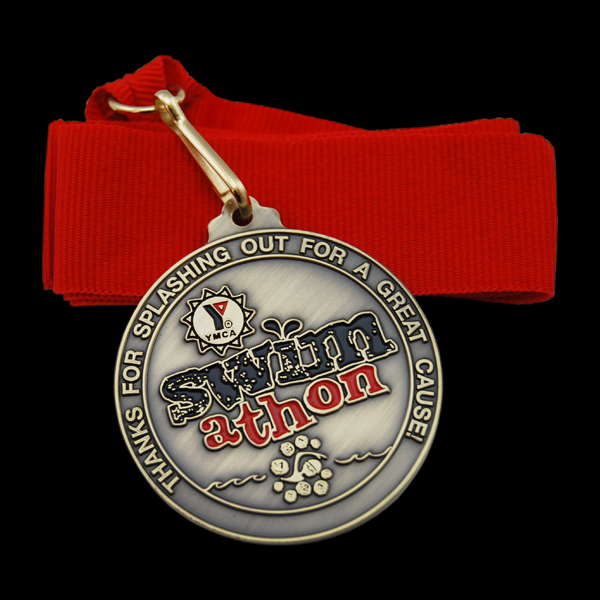 There are very few limitations when you have a cast medallion, medal or token made. 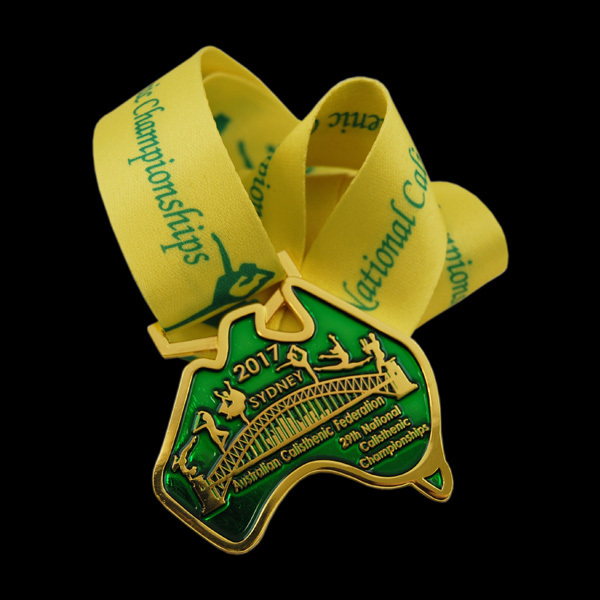 A perfect fit if you require an unusual shape, logo, 2 dimensional or 3 dimensional designs. 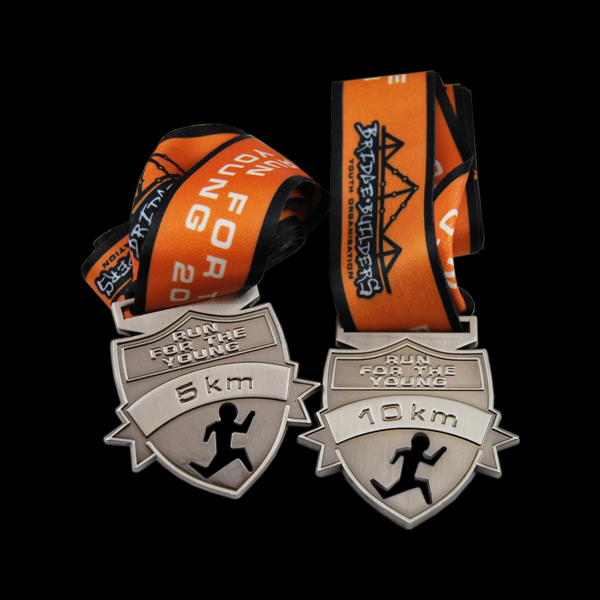 These medals can also be coloured. 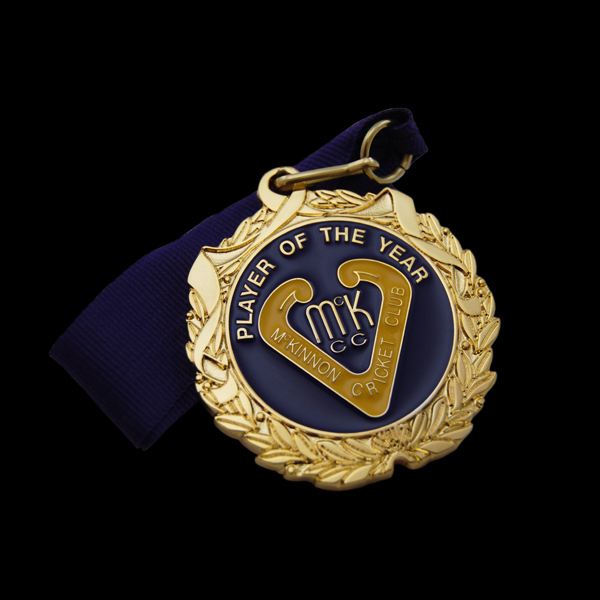 This is the most affordable medallion, medal or token type on the market. 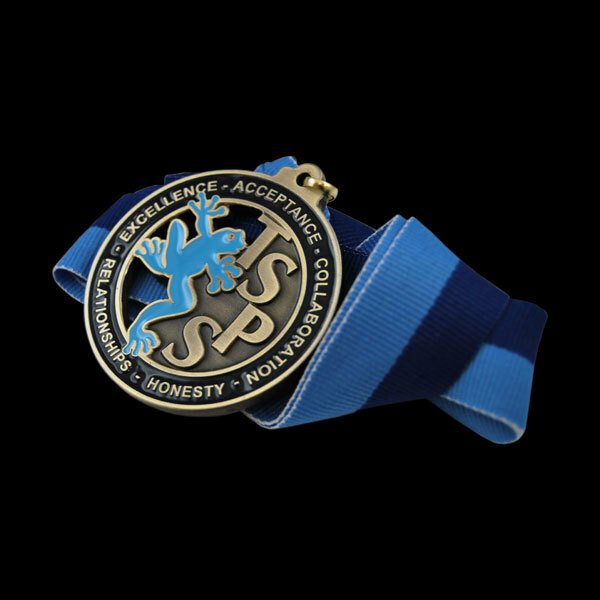 It can be as plain or extravagant as you like. 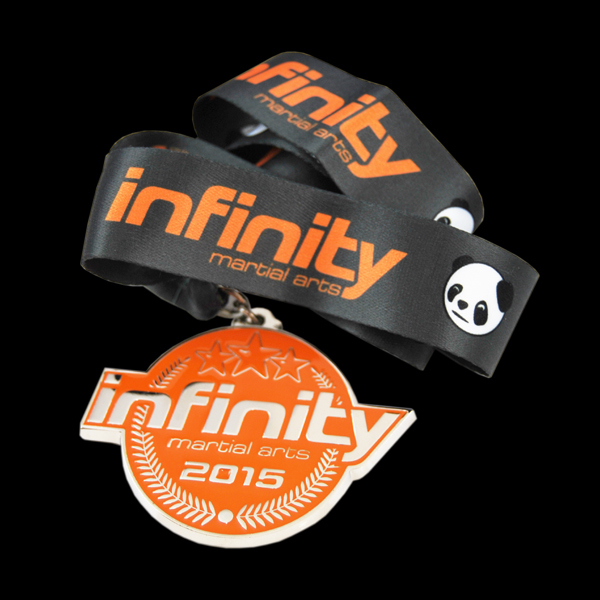 The casting method will give you an excellent looking medal, medal or token at a relatively low set up and unit cost. 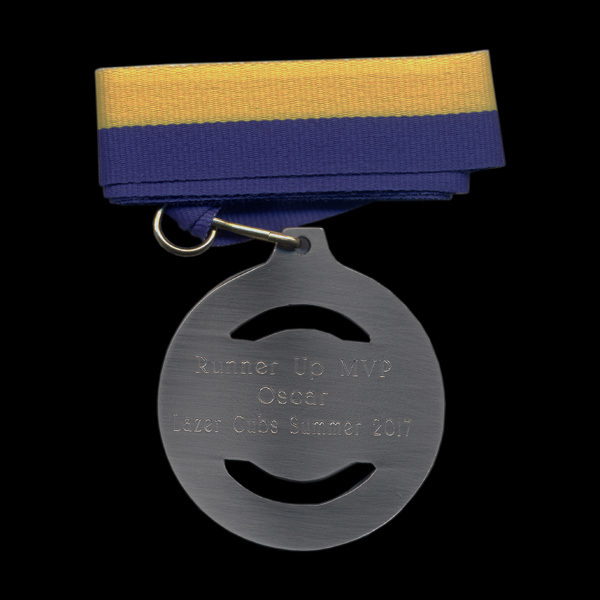 Due to the innovation and progression of the casting process over the last few years, the detail and quality of the cast medallion has advanced enormously. 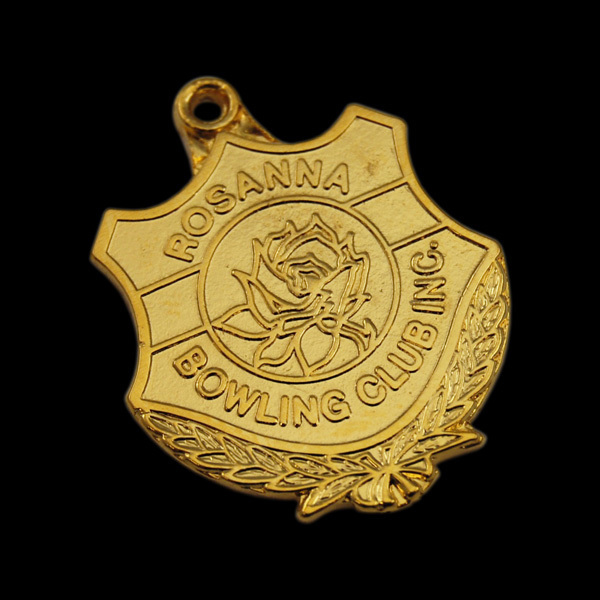 Our experienced sculptors’ are able to craft amazing likeness of images on your medallions, medals or tokens. 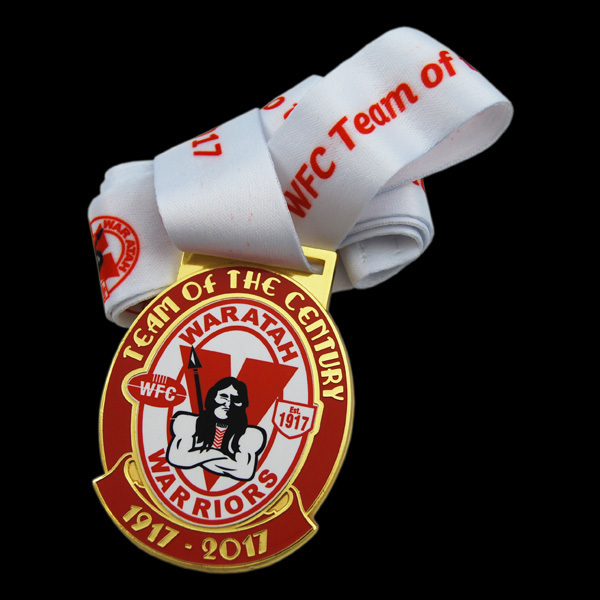 Your company logos can be exactly represented right down to the finest detail. 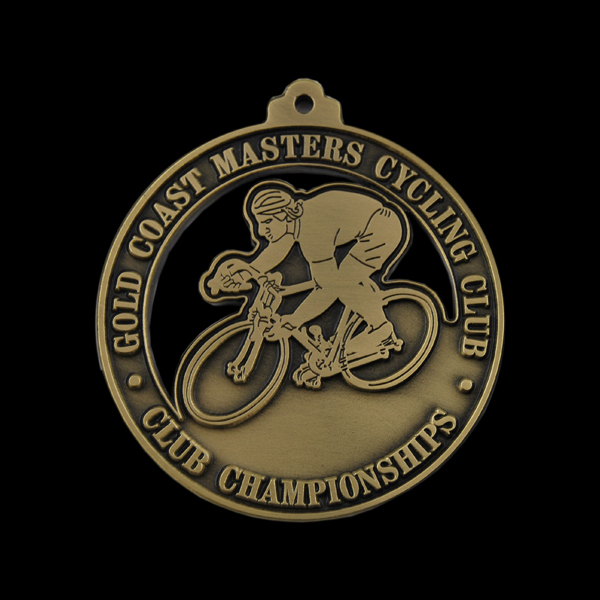 The delivery time on a locally manufactured cast medallion, medal or token is as the stamped medallions, generally 3 – 4 weeks. 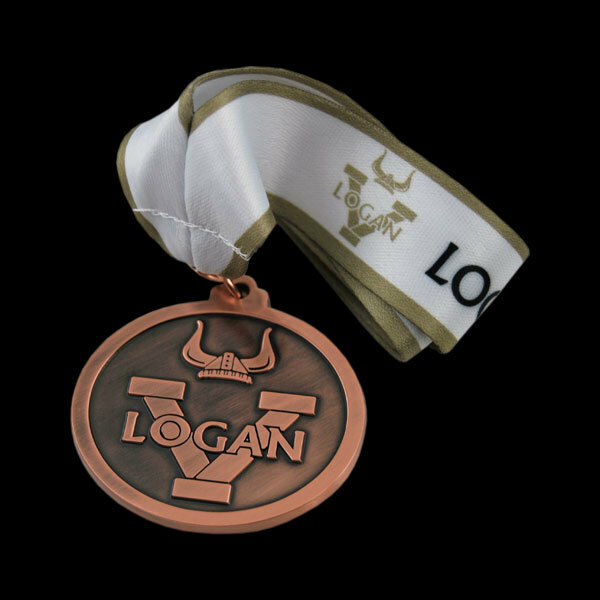 These looks awesome!! 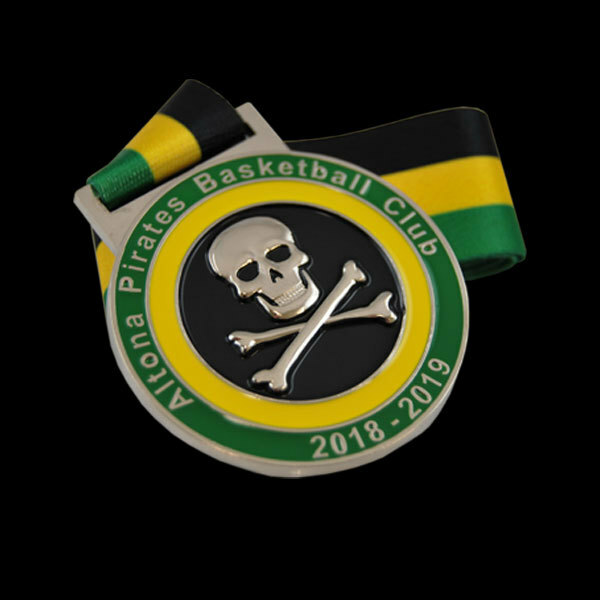 we are very happy with the product.Well done to you and your team getting these done within a shorter time frame than normal, customer service was top notch, and the product looks great!! 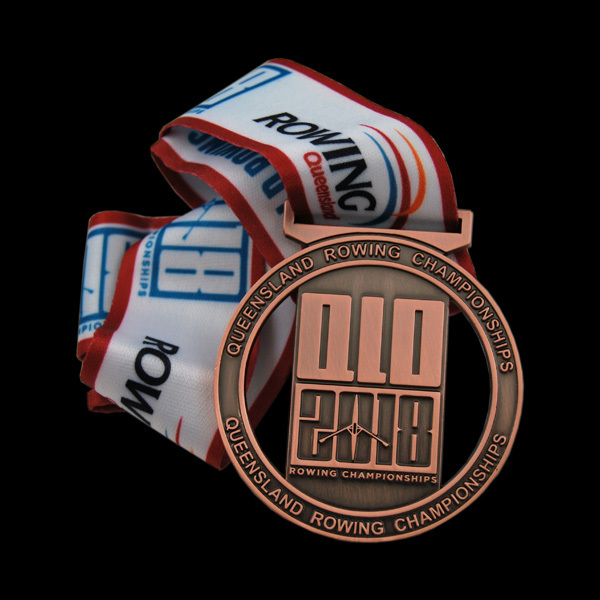 Thanks again.